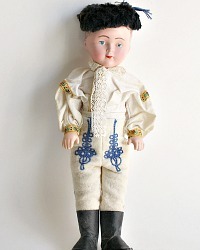 Adorable Folkloric Collection Doll, from a French collector, I just couldn't pass him up, he was displayed with her Christmas dolls. 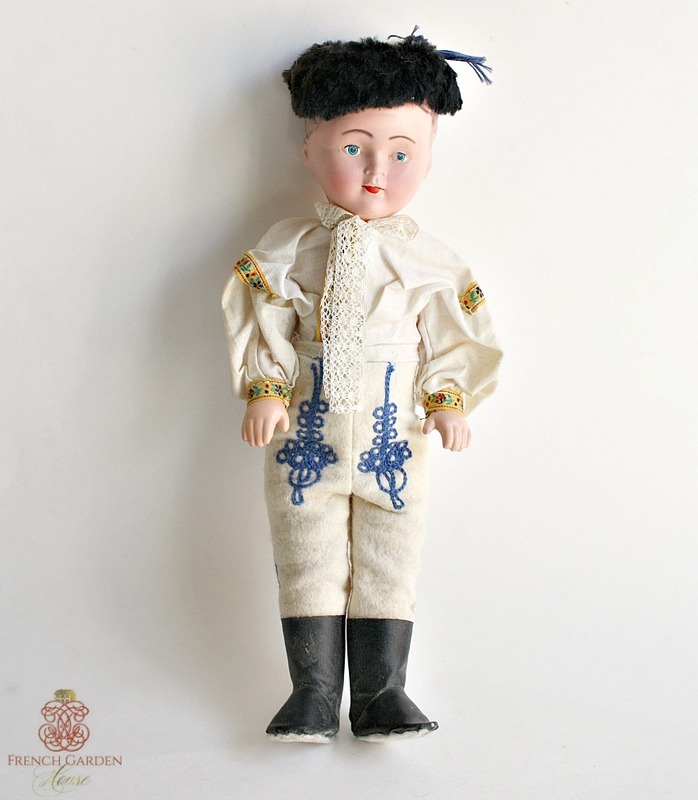 Although I don't know if he is French, he has a traditional Hungarian Costume on. His pants with the classic Blue embroidery are made of white felt, his cotton shirt is trimmed with a lace bow, and woven floral ribbon. He wears a black "fur" trimmed hat with blue tassels. Isn't he so handsome? His black boots are sweet too. He is large, and plays well with your antique dolls and bears, especially in a holiday themed display. 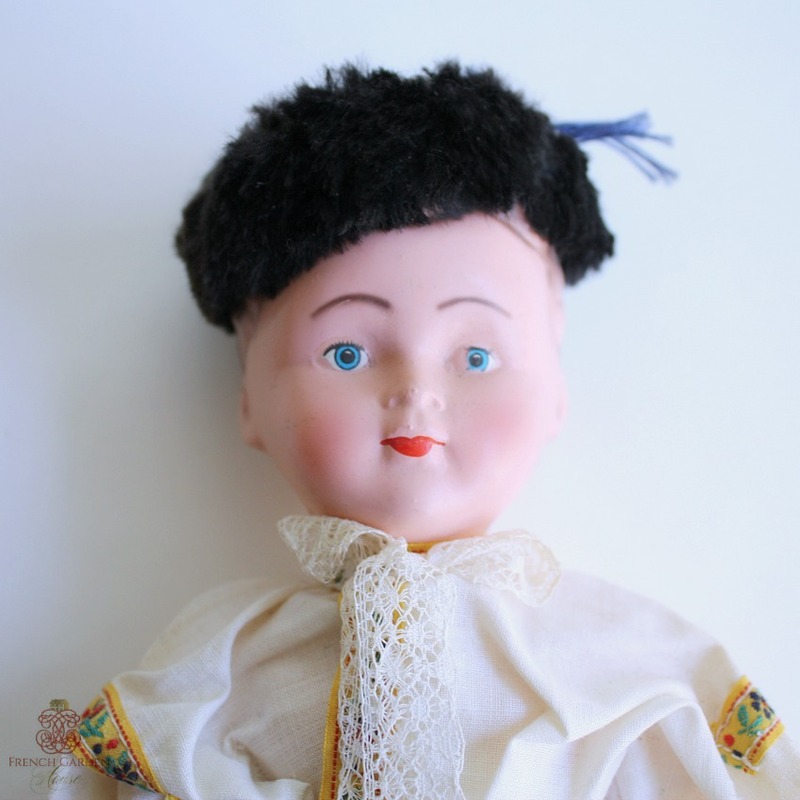 Not perfect, he has hand painted blushed cheeks and a rosy little mouth, one of his eyes is missing some of the paint. Please only adopt this little boy if you can love him, patina and wear and all. Measures 12" h.